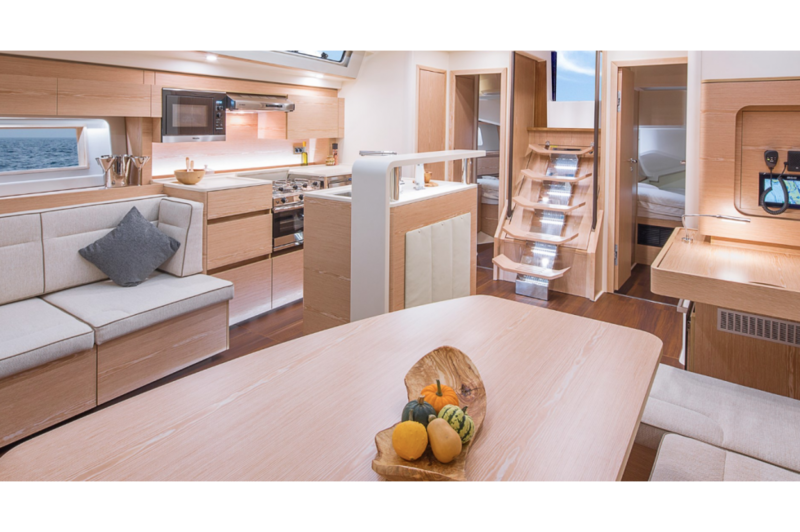 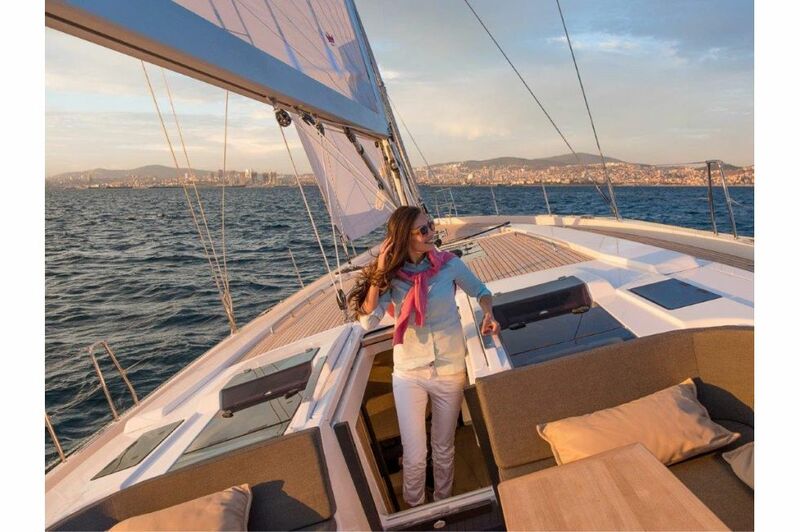 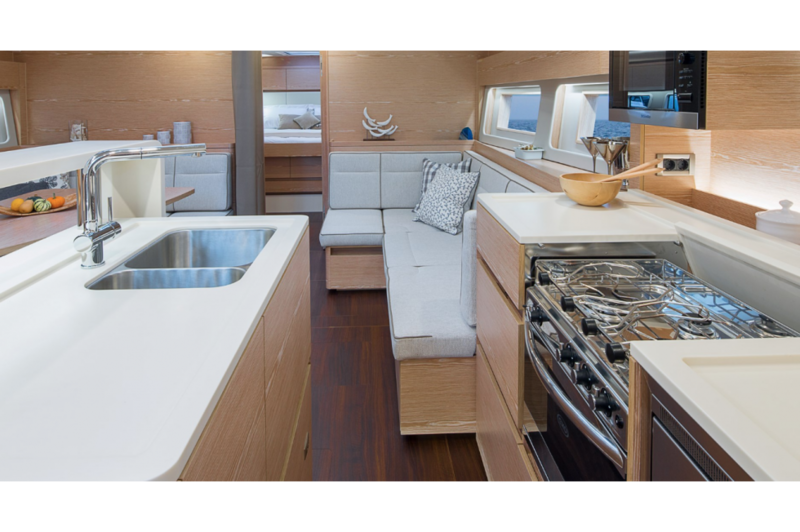 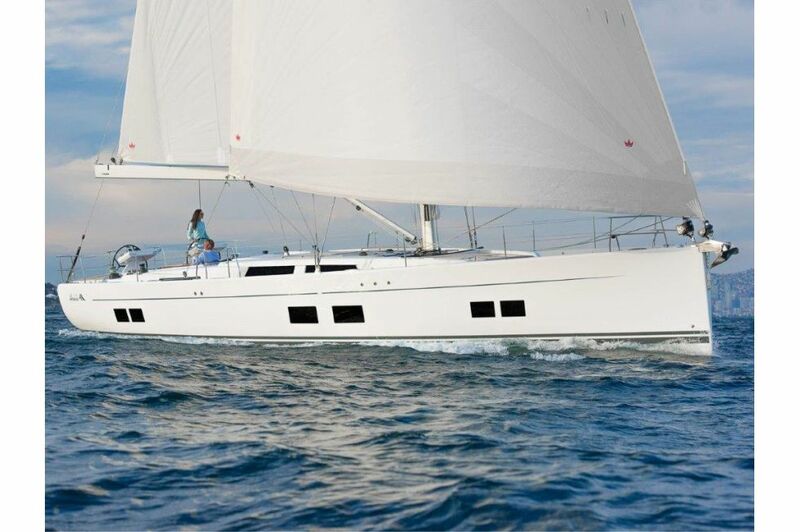 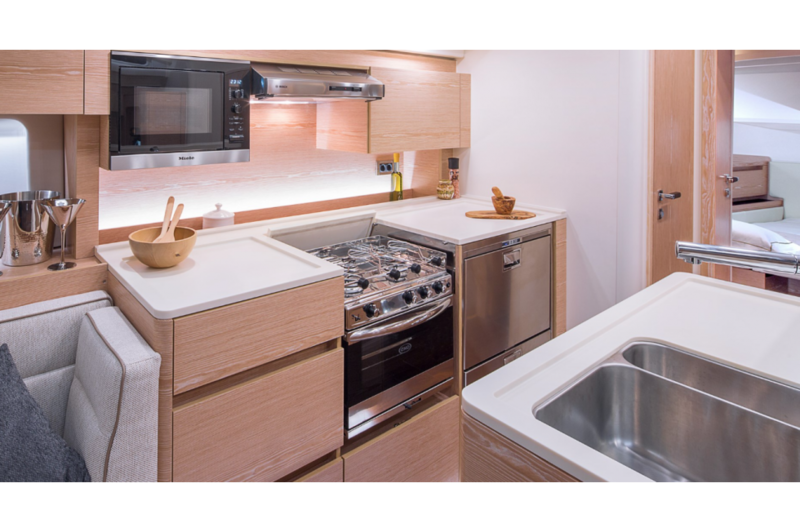 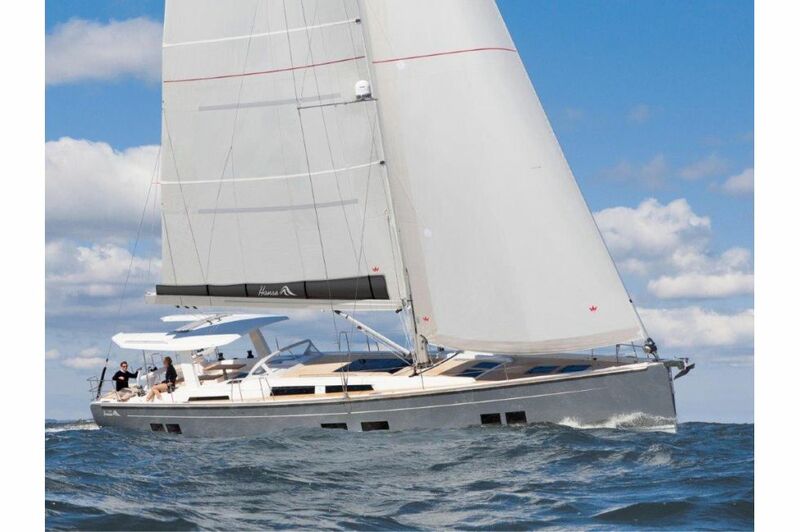 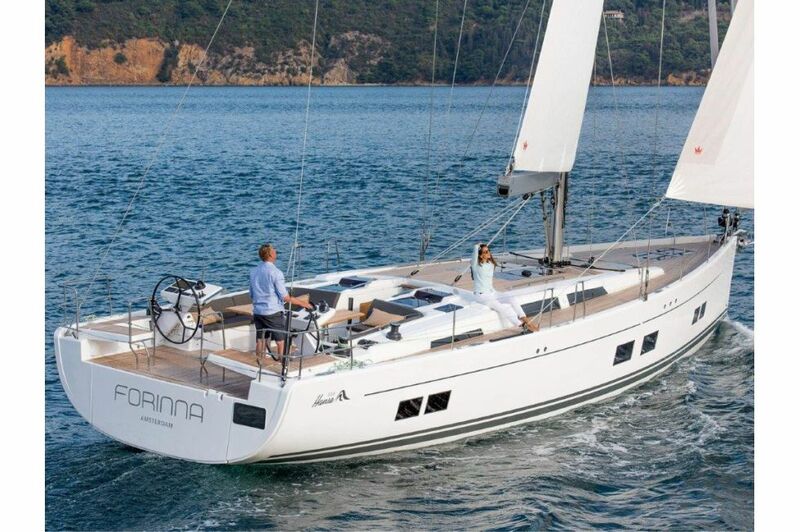 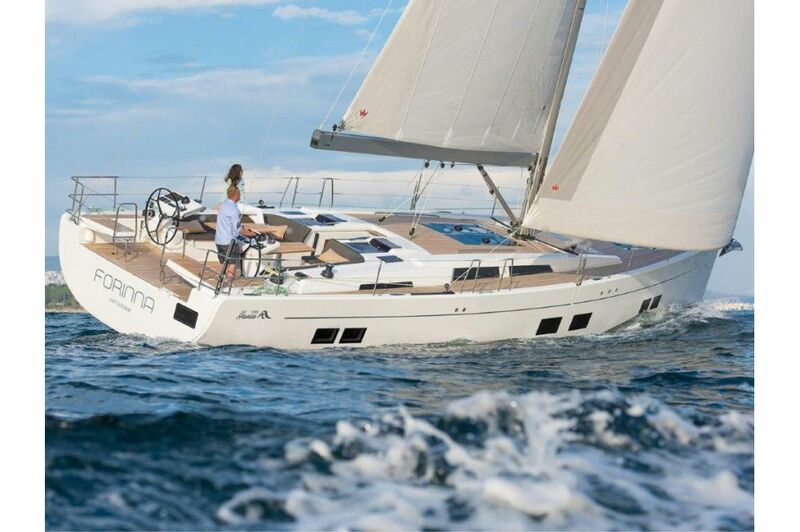 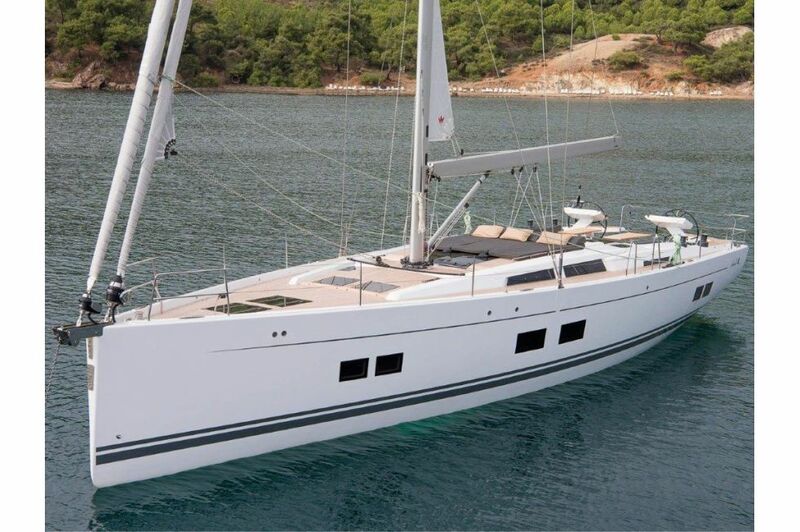 The new Hanse 588 offers everything you would expect from Hanse. 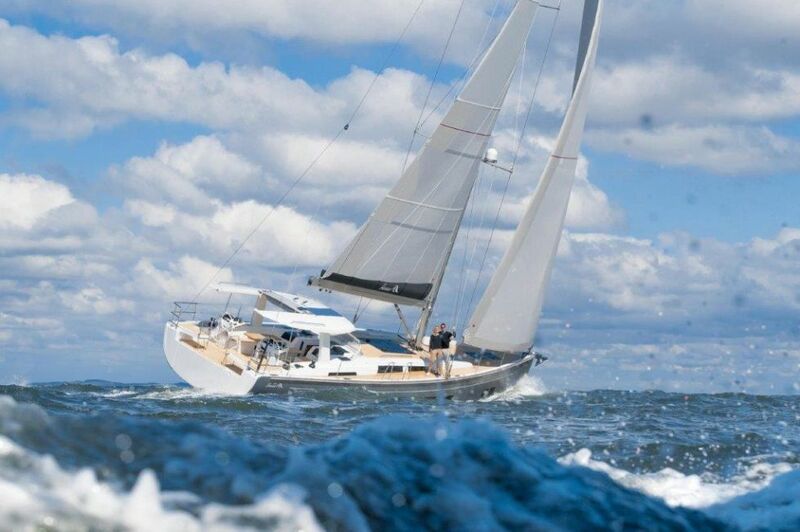 Head-turning looks, bullet proof build quality, fast easy sailing and lots of space and light. 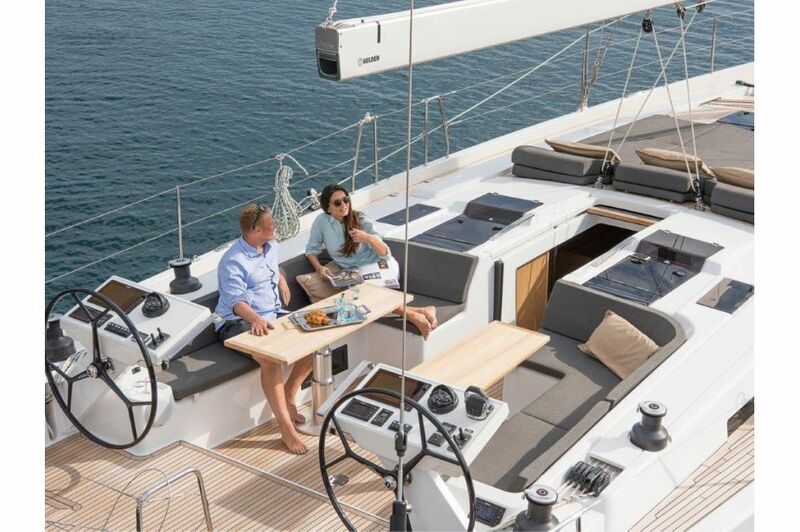 The optional hardtop offers a new dimension to sailing and of course the famous Hanse big boat dinghy garage means you get to take a Williams Jet tender on your voyage too. 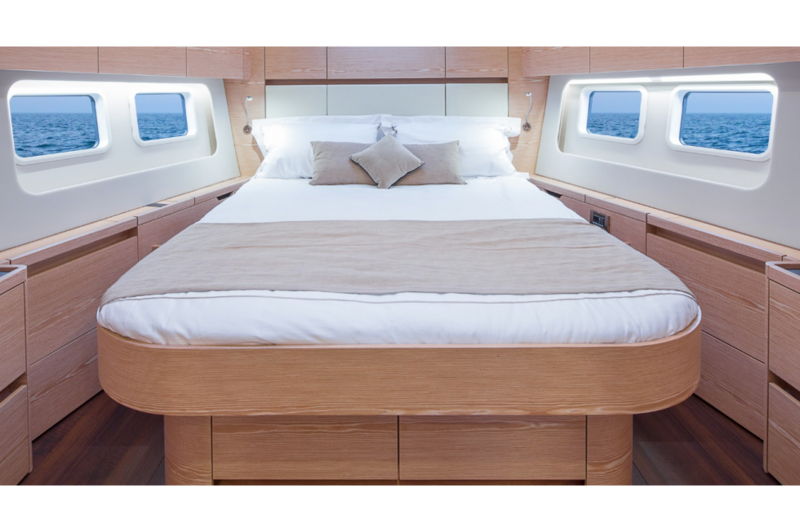 Further innovations include the new Silent Sleep main bulkhead system which remarkably deadens the sound from the aft end of the boat. 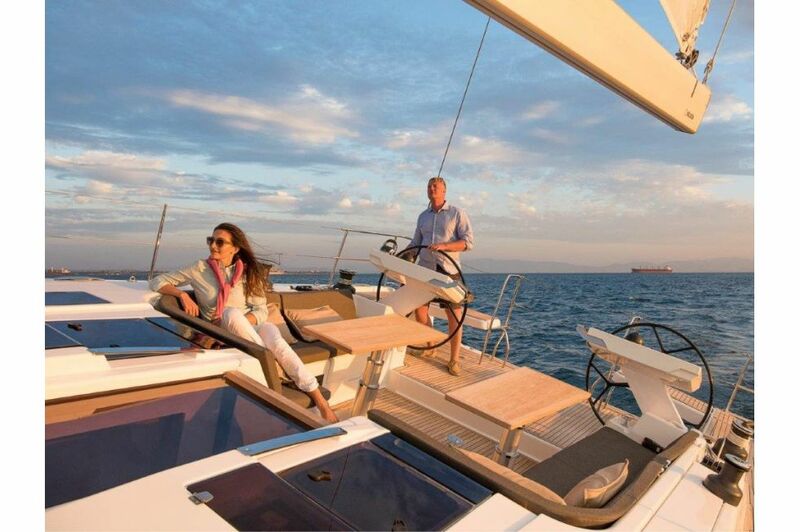 Get in touch with your nearest Inspiration Marine Group Office for more information. 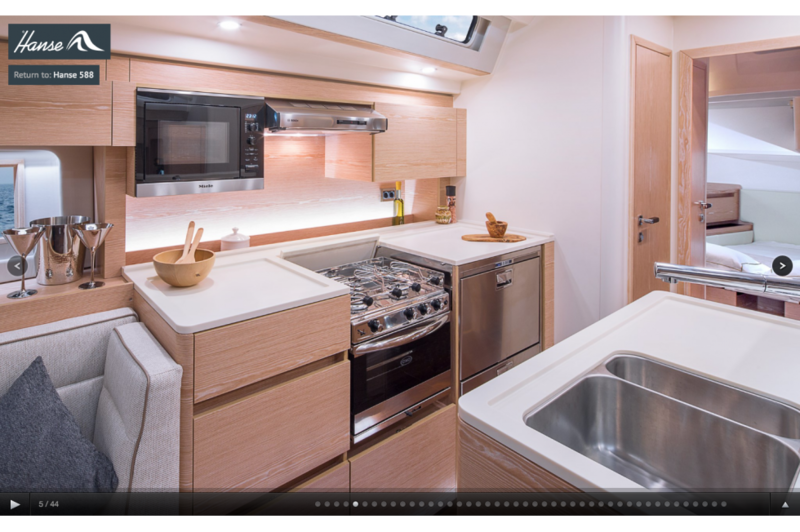 - GRP hull, isophthalic gelcoat, colour: Signal White (RAL 9003), 1st layer vinyl ester resin with balsa sandwich core. 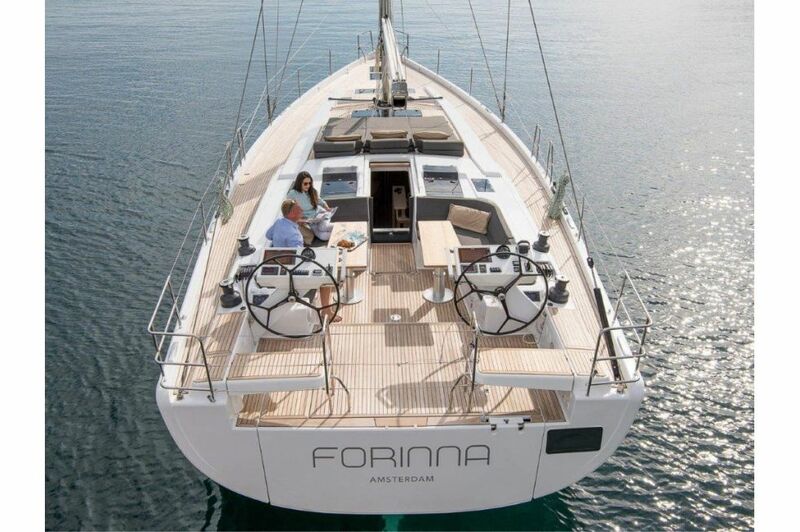 - GRP deck with antislip surface, isophthalic gelcoat, colour: Signal White (RAL 9003), 1st layer vinyl ester resin with balsa sandwich core. 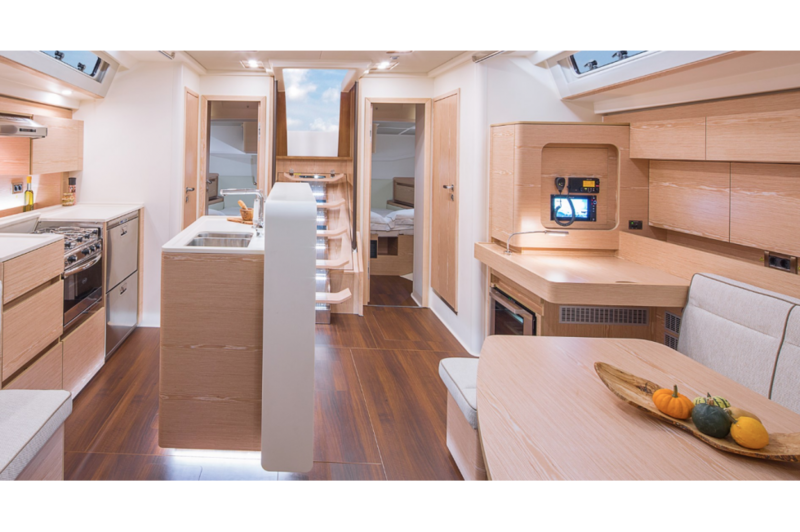 Cockpit locker on stb, dinghy garage, stowage for running rigging at helm position, anchor locker at bow.